A drunk driving charge and conviction in Worcester County is a dangerous endeavor that everyone should take measures to prevent. However, it is, unfortunately, a reality that DUI can happen to anyone and does occur all too often. The offense of operating under the influence not only carries the potential of significant criminal penalties, but also, administrative action by the Registry of Motor Vehicles against an individual’s right to operate a motor vehicle in the state of Massachusetts. At the time of arrest, individuals are ususally brought to a police department or barracks and offered the opportunity to submit to a breath test. If the breath test result is .05 or below, and individual is released from custody forthwith. If the result is a .06 or a .07, no administrative action is taken by the RMV against an individual’s right to operate but the charge of OUI still goes forward. If the breath test result is greater than .08, it is considered a failure and an individual’s right to operate is automatically suspended for 30 days. At the conclusion of the 30 days, an individual can seek reinstatement of their right to operate at the RMV if the case is still pending. Drivers under the age of 21 are subject to additional administrative RMV consequences as the result of failing or refusing a breath test. If an individual under the age of 21 registers a .02 or above on a breath test, their right to operate will be suspended for 30 days. If said individual is under the age of 18, they will also suffer a 1 year license loss under Chapter 90, sec. 24P(Youth Alcohol Program). If the individual enrolls in the 24P program or enters a first offender program, they may apply for a waiver of that suspension and have the 1 year YAP suspension reduced to 6 months. If an individual is over 18 but under 21 and registers a .02 or greater, the YAP suspension is 6 months. An individual can apply for a waiver of the entire 6 months if they enroll in the YAP program or a first offender program. Longer suspensions occur if an individual refuses to submit to a breath test. If an individual has not been convicted of OUI or assigned to an alcohol education program in the past and they refuse a breath test, their right to operate is immediately suspended for 180 days. If an individual has one prior conviction or program assignement, the suspension for refusing a breath test is 3 years. If an individual has two prior convictions or program assignements, the refusal suspension is 5 years. For three or more convictions or program assignments, the suspension for refusing a breath test is life. If an individual under the age of 21 refuses to submit to a breath test, their right to operate is suspended 3 years in addition to any Youth Alcohol Program suspensions they may suffer(Under 18, 1 year. Between 18-21, 6 months). An individual under 21 who has a prior conviction or assignment to an alcohol education program who refuses a breath test will be subject to a 5 year suspension. An individual under 21 which two prior convictions or program assignments will suffer a lifetime license loss for refusing a breath test. An individual who hold a commercial drivers license(CDL) faces significant CDL suspensions if they register a .04 or greater or refuse to submit to a breath test while driving a commercial motor vehicle(CMV). However, if a CDL holder refuses to submit to a breath test while driving a non-cmv, they face augmented administrative action against their right to operate a commercial motor vehicle. If CDL holder refuses to submit to a breath test after they were arrested for OUI in a non-cmv, their right to operate a commercial motor vehicle will be suspended for a period of one year. If said CDL holder has a prior offense of OUI or leaving the scene of an accident, has refused a breath test in the past, if they had operated a commercial motor vehicle with a BAC level of .04 or above previously or had used a motor vehicle in the commission of a felony in the past, and they refuse to submit to a breath test, the CDL disqualification is for life. These administrative suspensions are in addition to any suspension that will result from a conviction of the underlying OUI charge. Operating under the influence is a misdeameanor punishable by up to two and one-half years in the house of correction and a fine of up to $1000. A conviction for OUI carries with it a loss of license for 1 year. First time offenders are eligible to be considered for enrollment in an alcohol education program under Mass. Gen. laws. Chapter 90, section 24D. Assignment to such program reduces the loss of right to operate to 45-90 days and makes certain offenders eligible to be considered for a 12-hour limited driver’s license. Those charged with OUI after having been convicted or assigned to an alcohol education program in the past are subject to a sixty-day sentence in the house of correction, thirty days which must be served, up to two and one-half years and a two year loss of license. 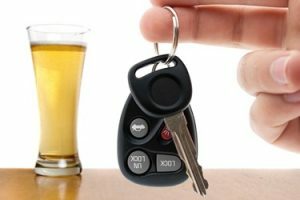 As an alterative sentence, a person convicted of an OUI-second offense can be sentenced to a two-year period of probation with an order to attend and complete a 14-day impatient treatment program and all aftercare. If an individual’s prior offense was over ten years ago, they may be considered for a first offender 24D disposition. A third offense OUI is a felony punishable up to 5 years in state prison with a mandatory minimum of a 6 month house of correction sentence and an 8 year loss of license. A fourth offense OUI is a felony punishable up to 5 years in state prison with a mandatory minimum of a 2 year house of correction sentence and a 10 year loss of license. A fifth offense OUI is a felony punishable up to 5 years in state prison with a mandatory minimum of a two and one-half year house of correction sentence and a lifetime loss of license. The law firm of Monopoli & Monopoli has been defending individuals charged with OUI/DUI for over 40 years. Contact our office today to schedule an appointment and see how we can help you through this time.